With more than 10 years of experience, Le Cavallette Diving Savona operates along the West Ligurian Sea aerea, offering Scuba Diving excursions and courses at any level and with no age restrictions. On our boat, the “Tresette II”, you will find a new way to enjoy Technical dive. The Tresette II boat, hot showers, compressor and tanks on board, the perfect vessel for full day excursions on the Haven Shipwreck and in the Bergeggi Island Marine Protected Aerea. 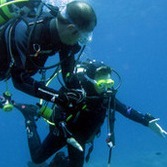 We organise PADI and SNSI Scuba Diving courses at every level, recreational, technical an professional. Dive with us in the Bergeggi Island Marine Protected Aerea. 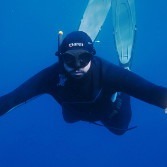 Help us to save the marine environment tracking all you see while diving. Become a Sea Sentinel! Find out our deep dive, on shoals (reefs / bommies) and wrecks!